Organic photovoltaics bear great potential for large-scale, cost-effective solar power generation. One challenge to be surmounted is the poor ordering of the thin layers on top of the electrodes. 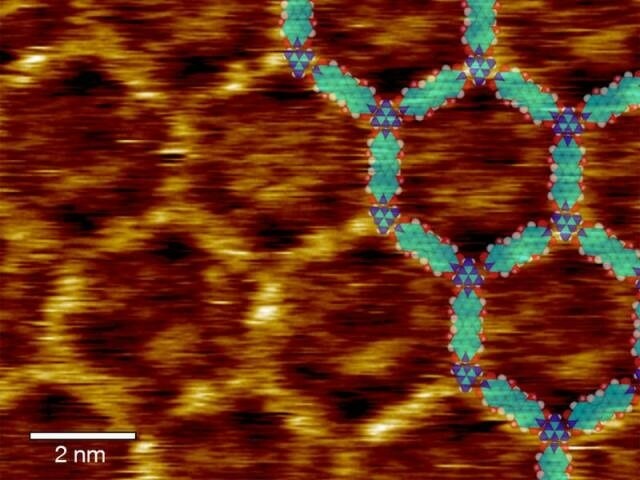 Utilizing self-assembly on atomically flat, transparent substrates, a team of scientists at the Technical University of Munich (TUM) has engineered ordered monolayers of molecular networks with photovoltaic responses. The findings open up intriguing possibilities for the bottom-up fabrication of optoelectronic devices with molecular precision.